For their wedding they wanted something fun, classic, that looks romantic and still a little modern. 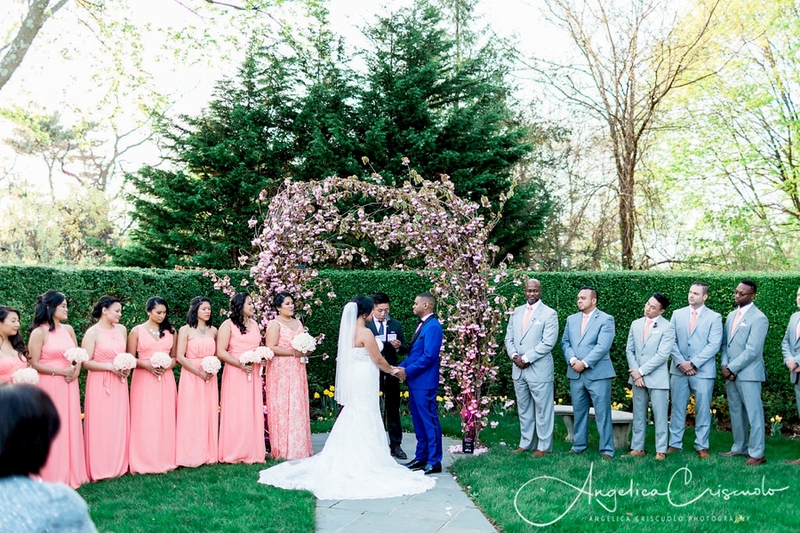 For their first look and bridal party portraits, we headed to the beautiful Westbury Gardens in Long Island New York. It was a gray day, but we managed to make the photos look dramatic and sunny using in-camera magic! 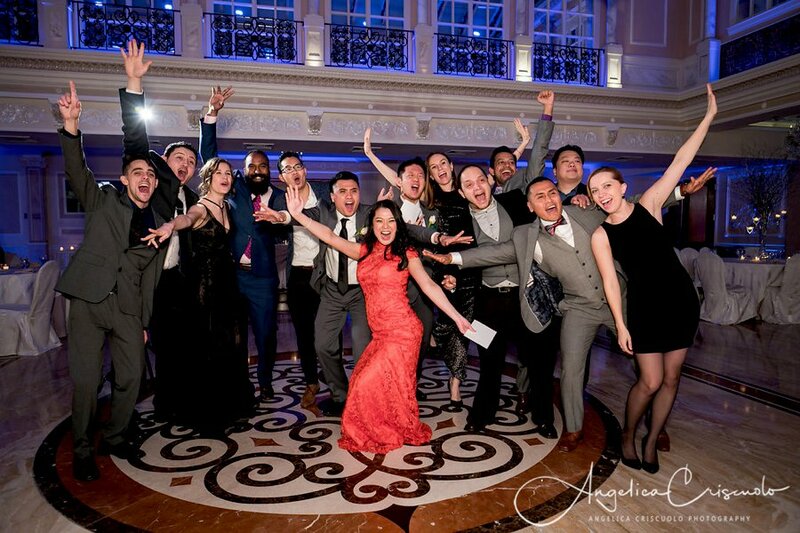 Their ceremony and reception was held inside Jericho Terrace Skylight Terrace room, and everyone looked like they had so much fun. 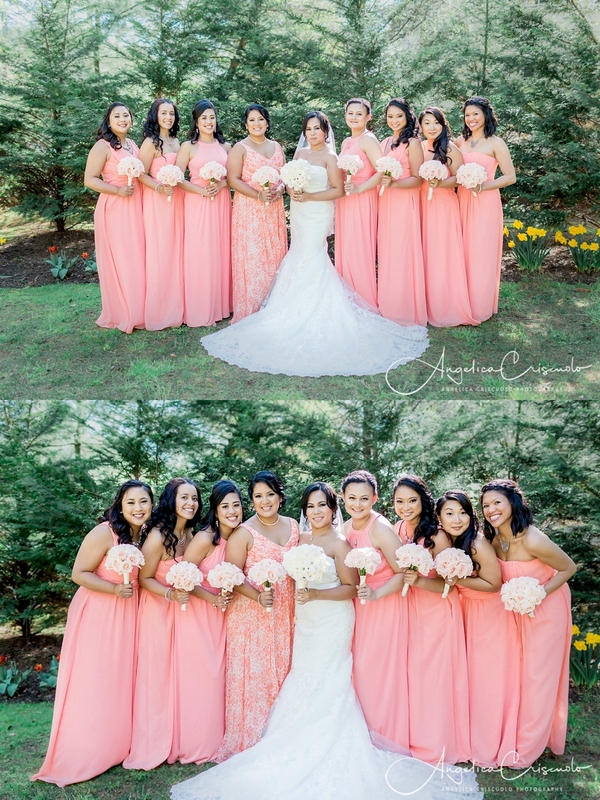 Their entire bridal party was amazing to work with. 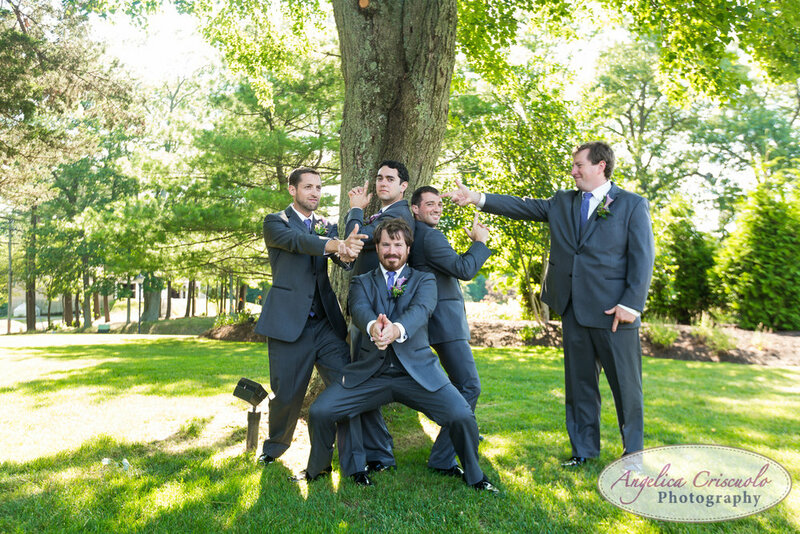 The bridesmaids wore a deep green gown, and the groomsmen wore gray suits with green accents. I’m so honored to have photographed them, and I wish them all the blessings in the world! 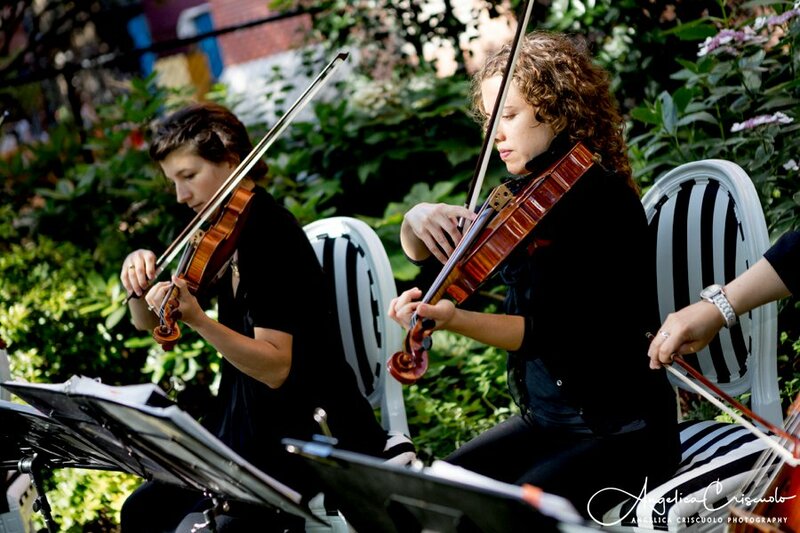 I thought I’ve seen and photographed many New York weddings in my lifetime, but I was proven wrong with this Gramercy Park wedding. The ceremony was held inside the iconic private park. Did you know that this area was a swamp land, but was drained away to create a neighborhood to house a few elite? I believe Thomas Edison rented a house there, and Teddy Roosevelt was born there. So yes, with prominent neighbors only a few keys were made for those lucky to get a deed to the park. Since 1844 the gates to this exclusive park has been closed to the public (unless there’s special events in the year), but was opened to two brides, J & D for their beautiful wedding ceremony. Their family and friends surrounded them in a circle, an infinite ring of heartfelt emotions, witnessing two hearts becoming one. After the ceremony, everyone was given refreshments and large white balloons. It was a sight to see all the guests walking to Pete’s Tavern, for a quick cocktail fair. After a bit of rest, everyone was off to the Gramercy Hotel for the reception. Guests were enthralled with the croquembouche, a very French cake made of choux pastry puffs piled into a cone and bound with threads of caramel. So delicious looking!! 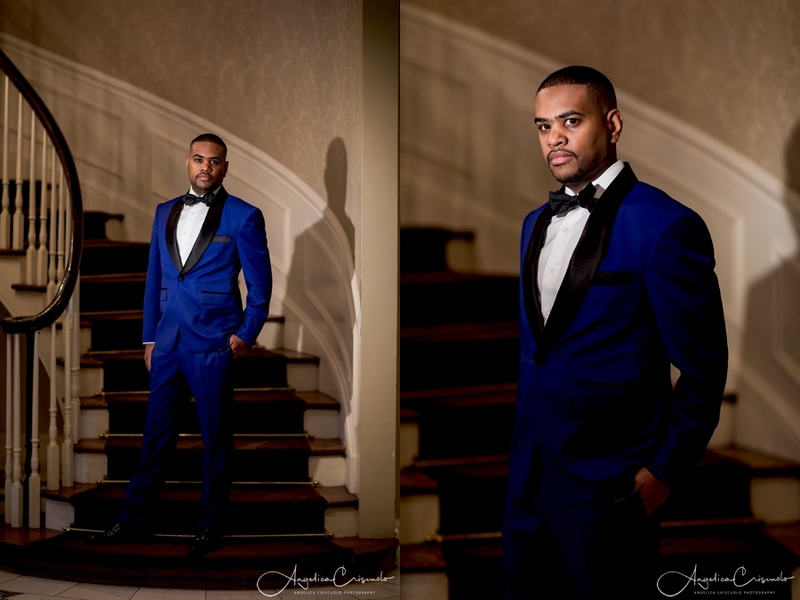 Here’s a few teasers from the wedding. 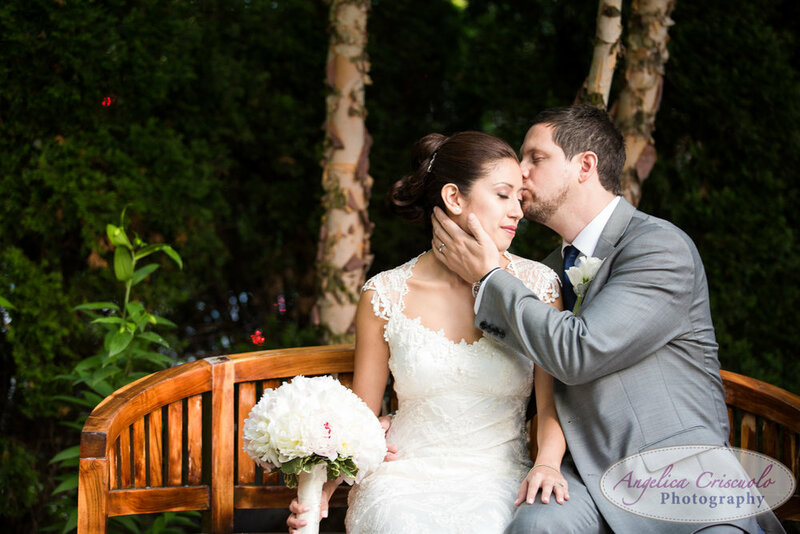 What a gorgeous New York wedding in Central Park's Boathouse in NYC! 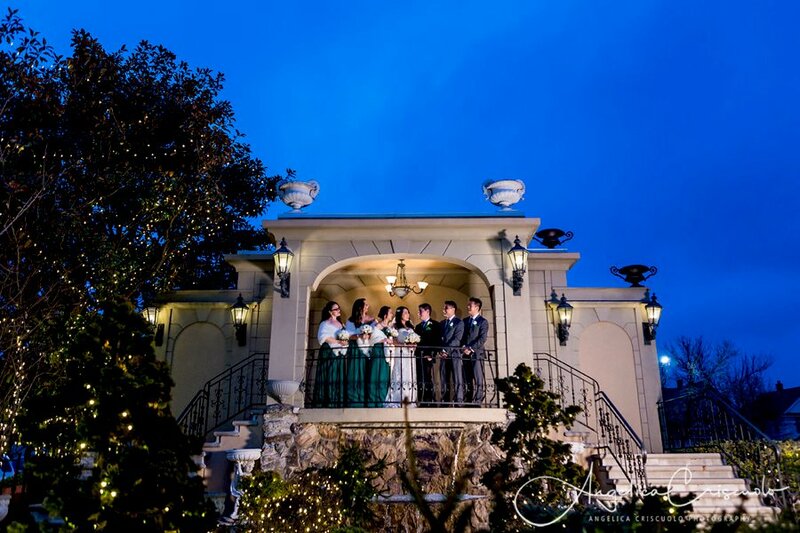 It always amazes me to watch a venue, already beautiful as it overlook a lake, and have it transformed before your eyes into an even more gorgeous scenery filled with blooms, lights, and a design amazingly by Celadon & Celery Events. Red in various hues was everywhere and the Chuppah created by Celadon & Celery was picture perfect with the backdrop of the lake sitting peacefully beyond the veranda doors. 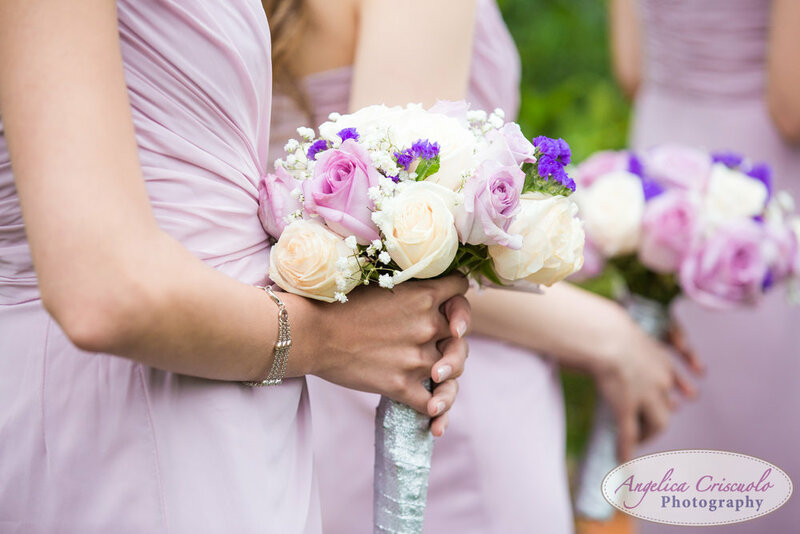 The bride’s gorgeous gown was contrasted by her beautiful red bouquet, while her bridesmaids in gorgeous red satin had a light pink and cream bouquet that definitely blended well with the theme of the wedding. 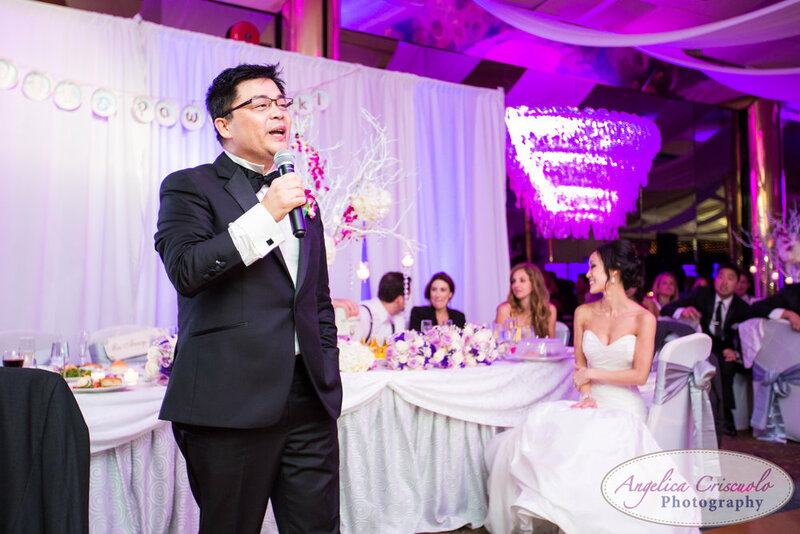 Even the men wearing their red satin yarmulke created a beautiful and colorful scenery for the wedding. 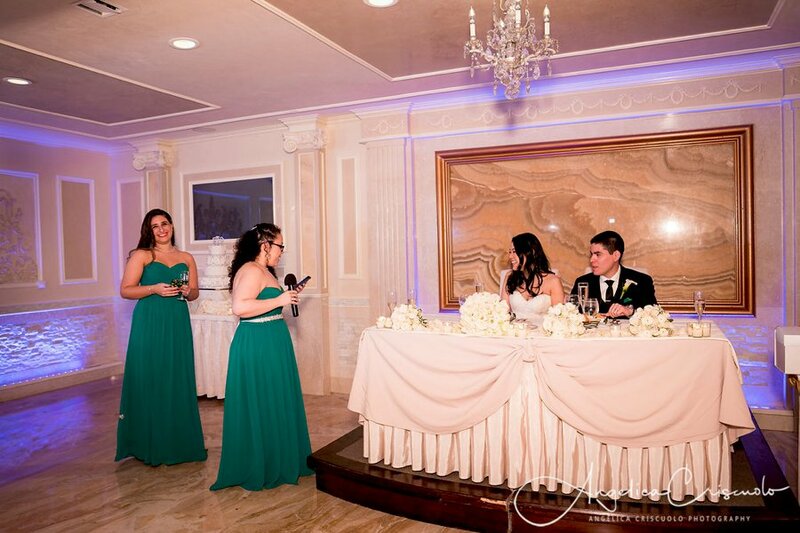 As the guests and bridal party were ushered to the cocktail hour, the venue and vendors worked to transform the ceremony space into an extension of the reception. Truly amazing! Below are a few details from the wedding. So gorgeous! Check out the linens, custom made for the wedding! 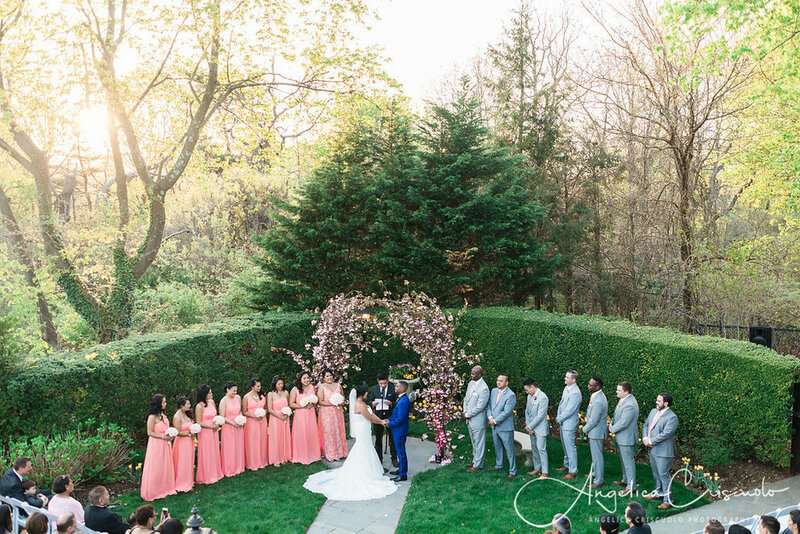 If you're planning your own fairy tale wedding, well this one is a good inspiration for a New York rooftop wedding. 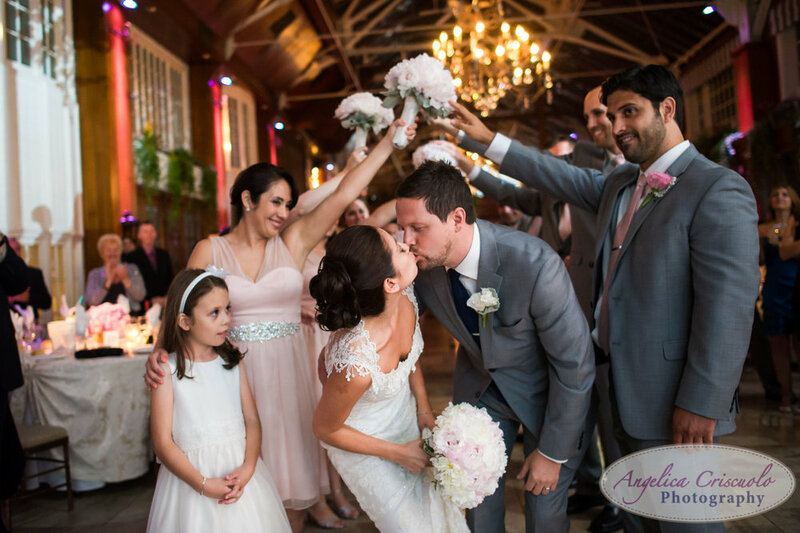 The bride and groom, had their beautiful wedding in New York City where guests had a fantastic view of the Empire State Building on the rooftop of Gary's Loft. 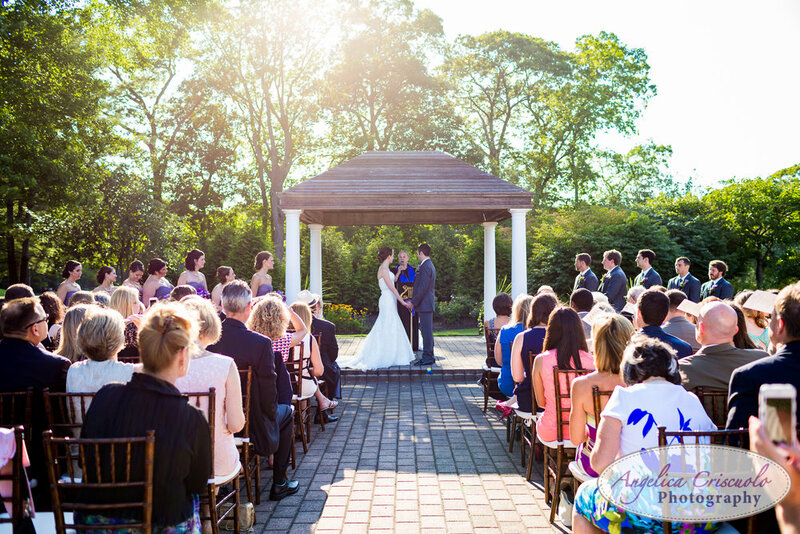 It's a beautiful venue where the ceremony and reception took place. The wedding ceremony itself was on the rooftop of the venue and when you walk in you cannot miss the Empire State Building in all its glory. 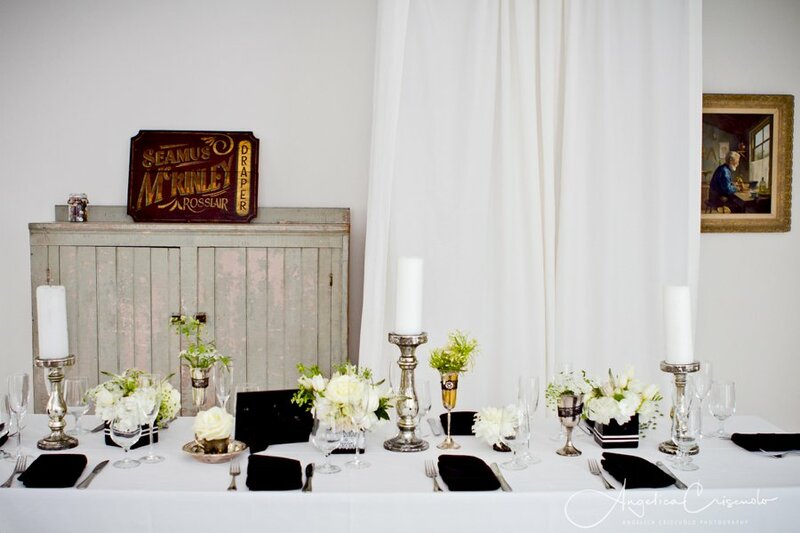 Celadon & Celery events designed and transformed the venue using a black & white theme in lace! They had a fantastic chandelier hanging above where the bride and groom stood, and everyone loved taking pictures under the masterpiece. After the beautiful ceremony where the minister talked about the lovebird's history and how they fell in love, the cocktail hour began, and all the guests enjoyed a refreshing beverage poured into mason jars. 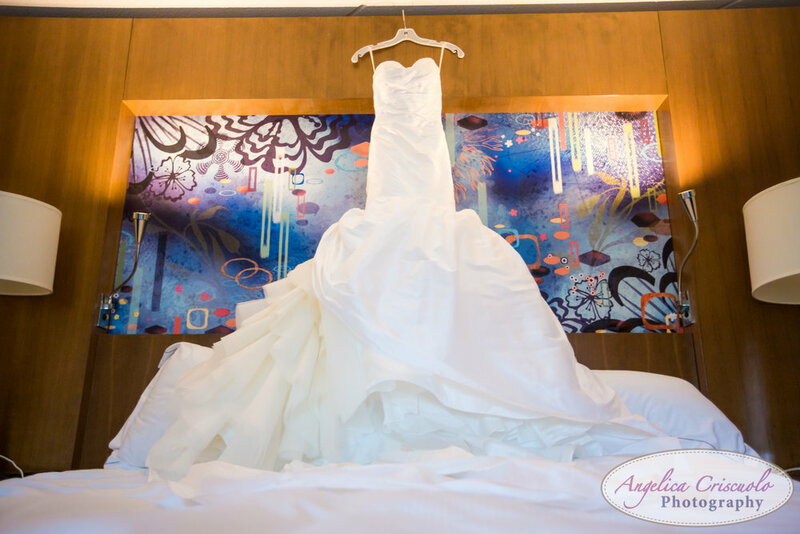 The details were amazing, and it continued to the reception area one floor below. The tables had its black and white theme, and additional centerpieces were wrapped in either black or white lace. 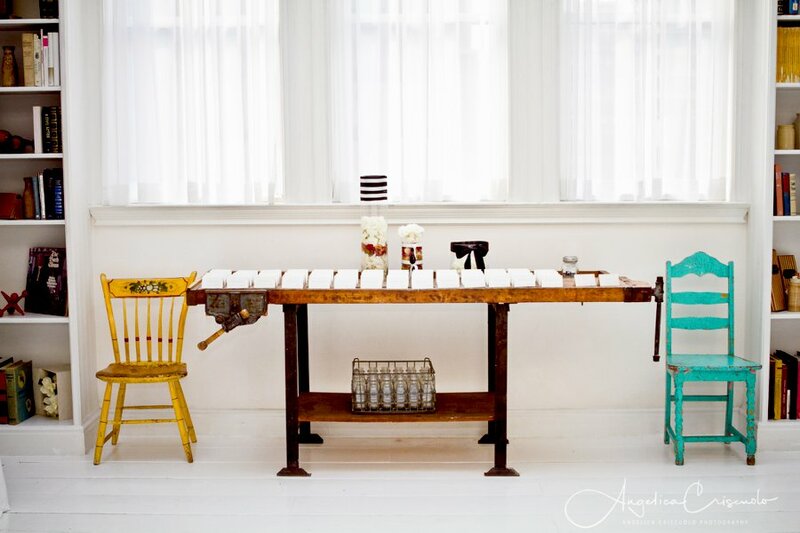 The modern twist to a vintage feel truly worked. 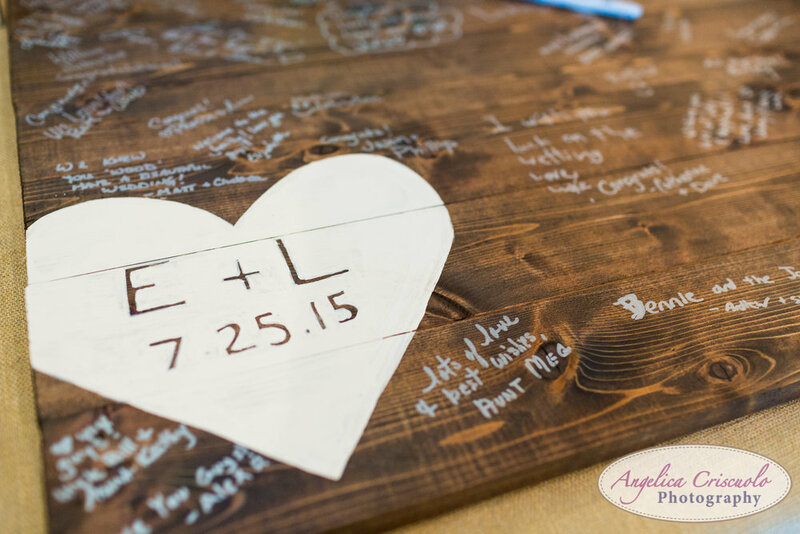 The wedding was a gorgeous art and everyone was amazed by the details and feel of the overall wedding. I will never look at lace the same ever again! The bride had her dress made, and it was completed with lace and feathers. She completed her dress with a feather hairpiece and veil...very chic and classy! 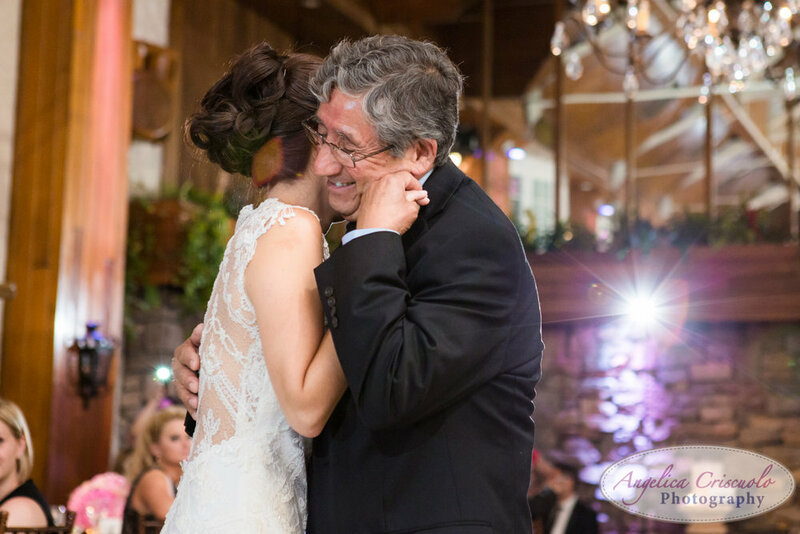 The father of the bride smile at his daughter and simply stated her dress was beautiful but did not know the concept of couture, which we forgive him for! Father of the bride looked dashing walking down the aisle with his daughter, and Logan was eager to greet his bride. The two already had their first look session, but you cannot miss the love in the air as they finally met to begin the rest of their lives. 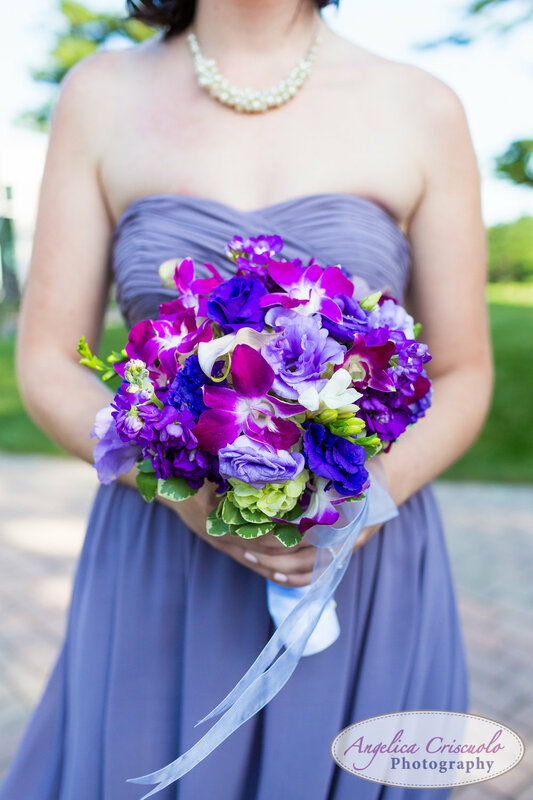 Lauren and Jason had their beautiful New York garden wedding at the beautiful Old Field Club in Long Island, by the sea. 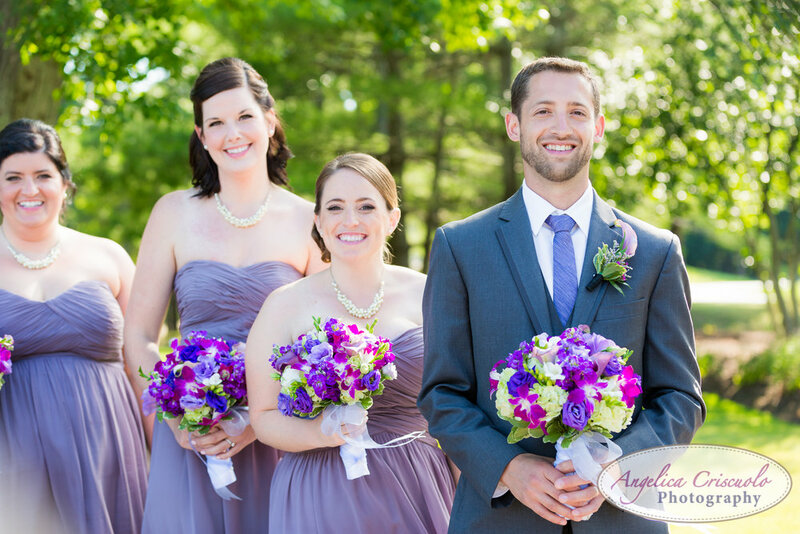 They first started their journey at the Danfords Hotel & Marina to get ready. 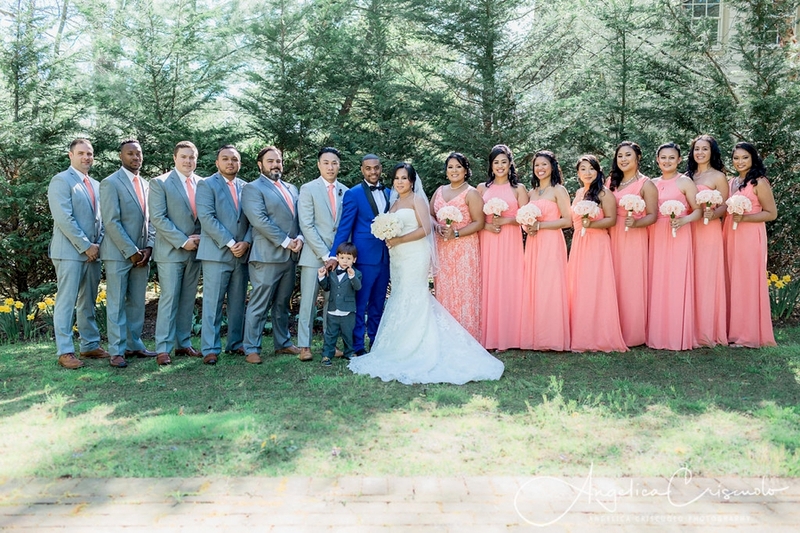 It was a beautiful morning, and the couple got ready with their family and friends. The bride and groom decided to have a first look, and the pier by the hotel was a perfect location. With Jason in place, looking amazing in his Generation Tux in navy blue, Lauren was escorted by her sister and mother. 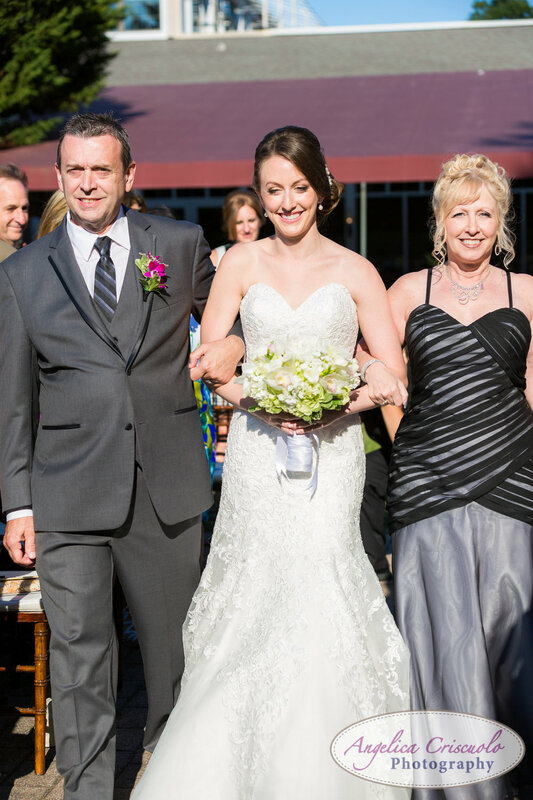 As she reached the pier, her sister and mom stayed behind and Lauren proceeded to walk towards her groom. At this moment, Jason cannot contain his excitement. 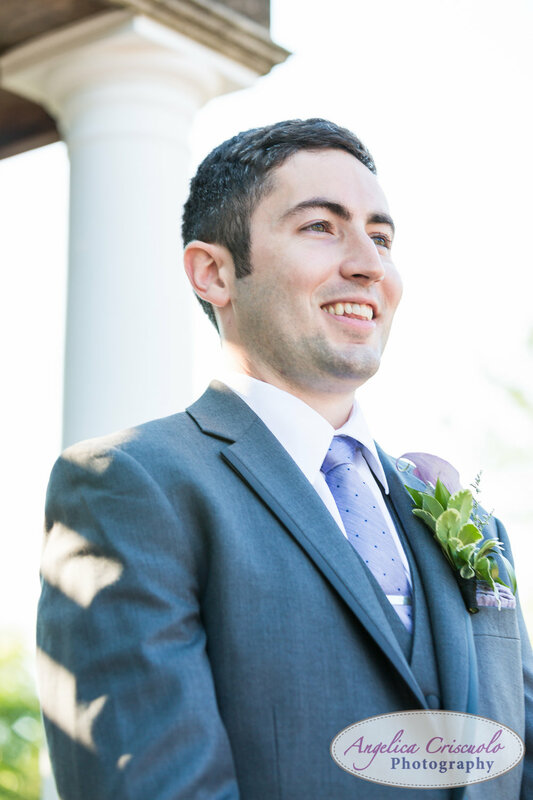 Lauren is beautiful walking towards us, and as she tapped Jason's shoulder, he turned around and let out a display of adoration seeing his bride for the first time in her beautiful BHLDN Freesia gown, veil and shoes. These two adore one another, and they are always laughing and smiling. After the first look and bridal portraits session, we took a ride on a yellow school bus to the ceremony and reception venue. Throughout the wedding portraits, ceremony, lavender toss as they walked down the aisle, and reception, it was a moment after moments of smiles and laughter. From their first kiss as husband and wife, to their first dance to "The Head and the Heart" by Rivers and Roads. It made photographing the day very easy, and I am very delighted to have captured their wedding. 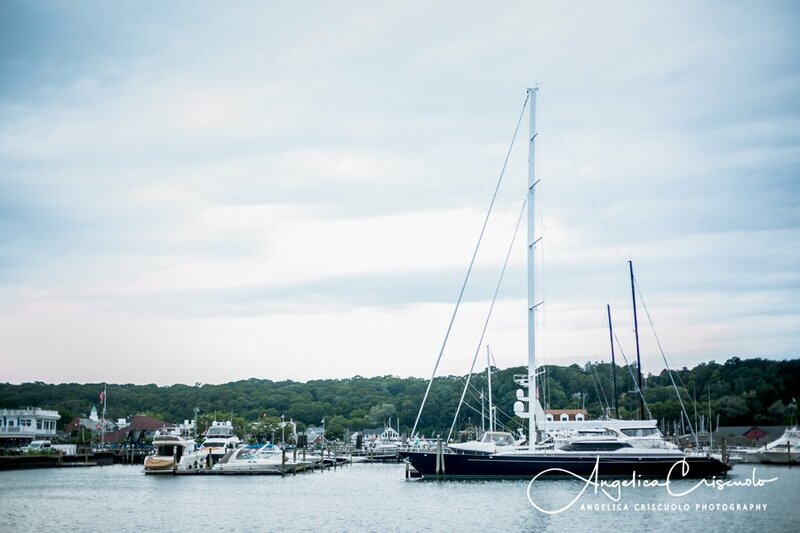 Congratulations once again to a wonderful couple, who I had such a great time photographing their engagement session and their fabulous wedding Long Island New York Wedding. 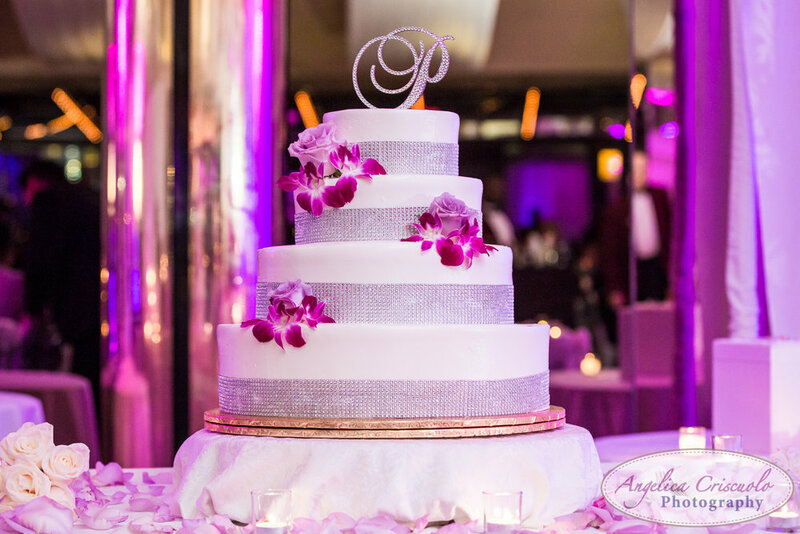 Their Fox Hollow Catering Westbury wedding was a fairy tale in the making. 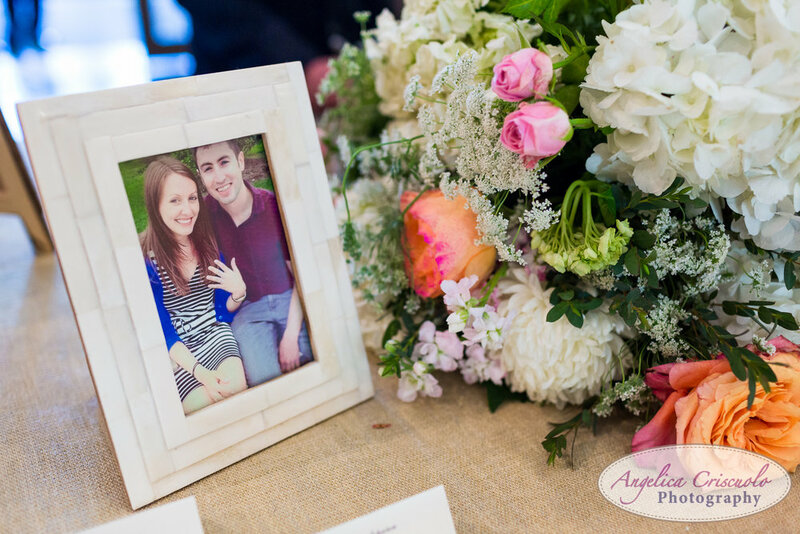 Their wedding can be described as romantic, soft, intimate, yet fun and elegant. 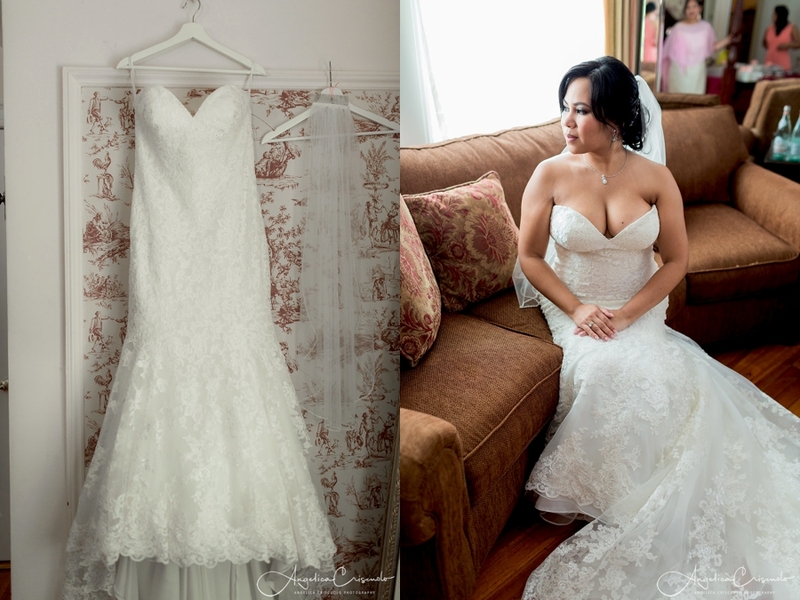 We started the day in Mineola, NY where Ingrid was getting ready in their home. Once her hair and makeup were done, and her bridesmaids helped her in her dress, her mom and other family members were crying with joy once they saw her all dressed. Even Ingrid had tears of joy and it was such a heart warming scene. 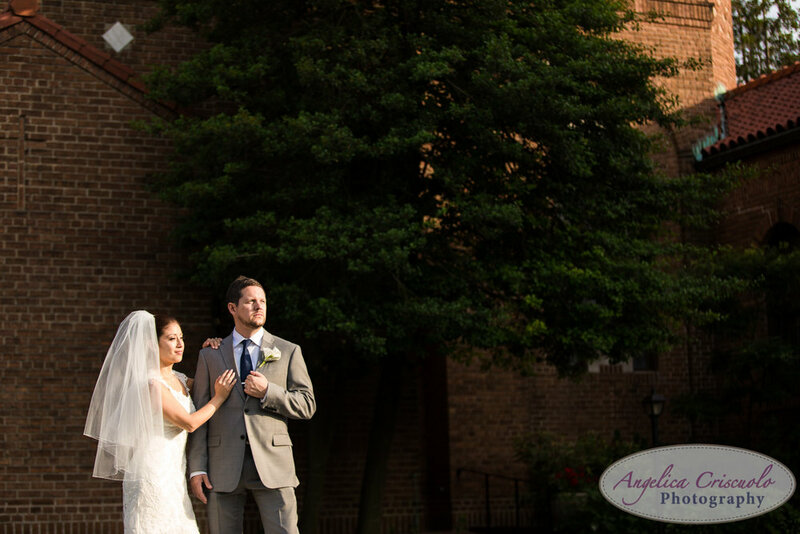 We headed to St. Aloysius Church in Great Neck, NY for a beautiful ceremony. The church is very significant to the couple and their family since it's where Scott attended with his family. 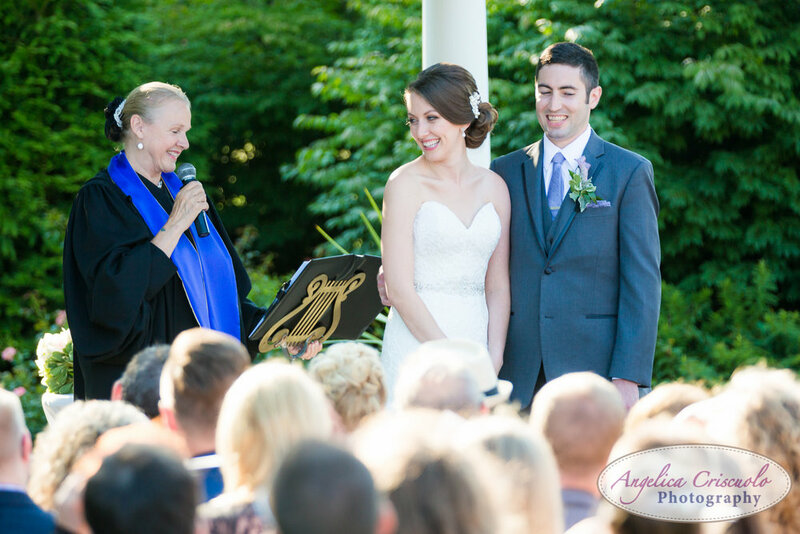 In front of their family and friends, Ingrid and Scott said their vows and sealed their marriage with a kiss. 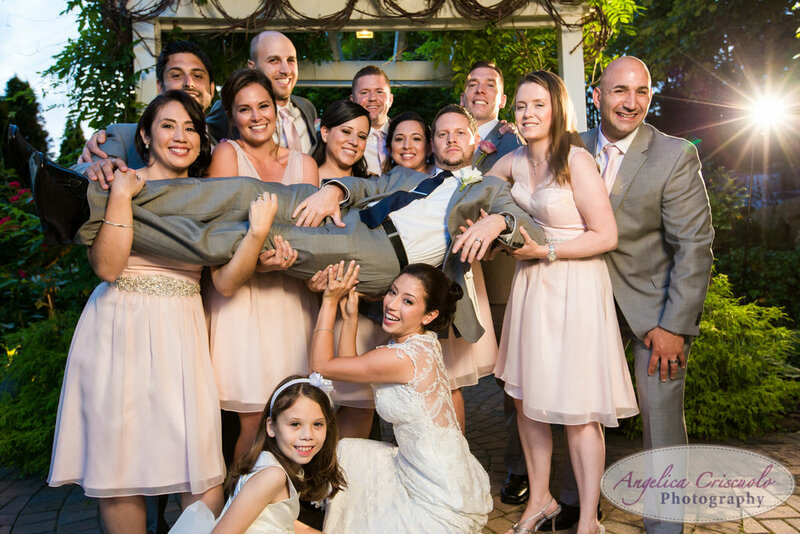 The bridal party headed to Fox Hollow Catering for photography and later to celebrate their nuptials as they party the night away. 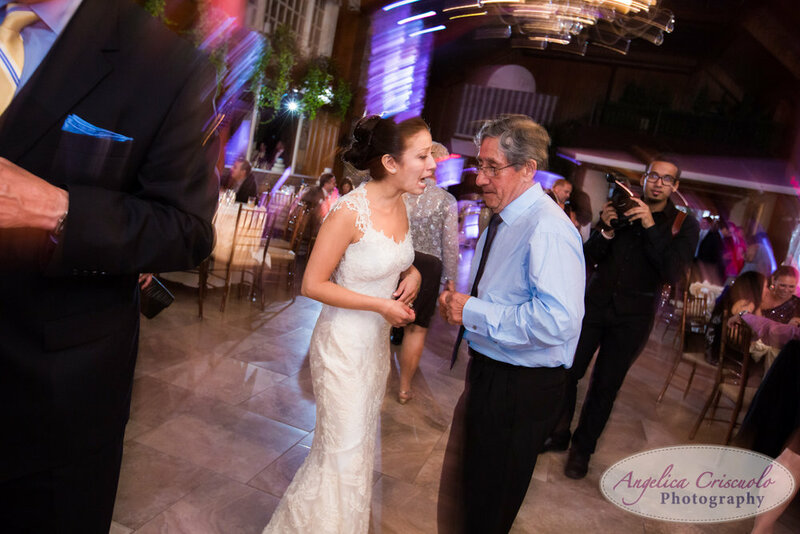 It was such a great celebration that the dance floor was always filled with guests. Congratulations Ingrid and Scott! 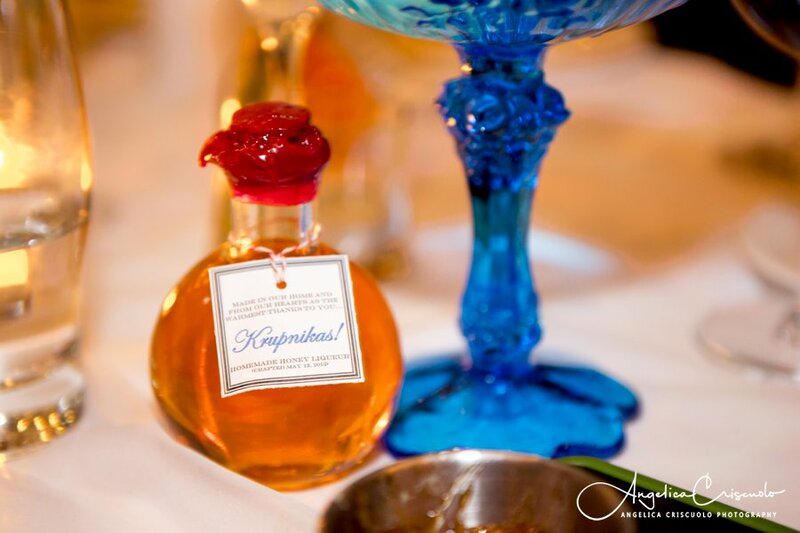 Here's to a lifetime of happiness. 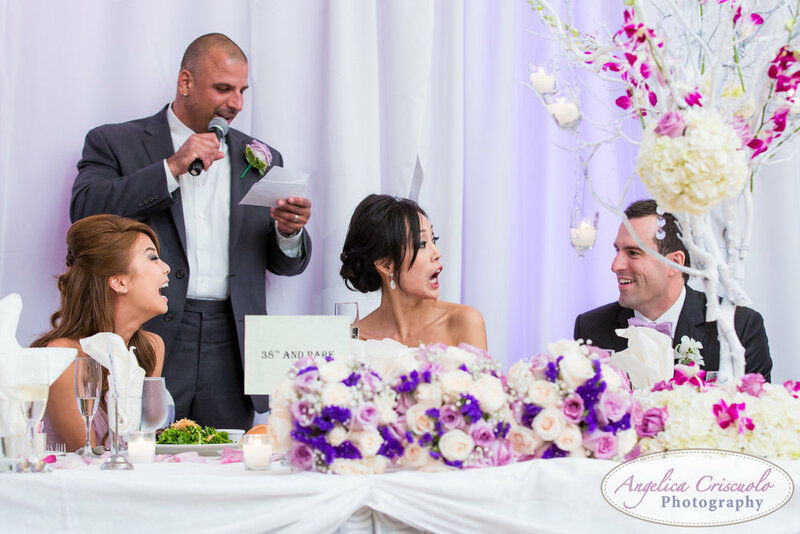 Marriage is a Happily-Ever-After we definitely recommend! 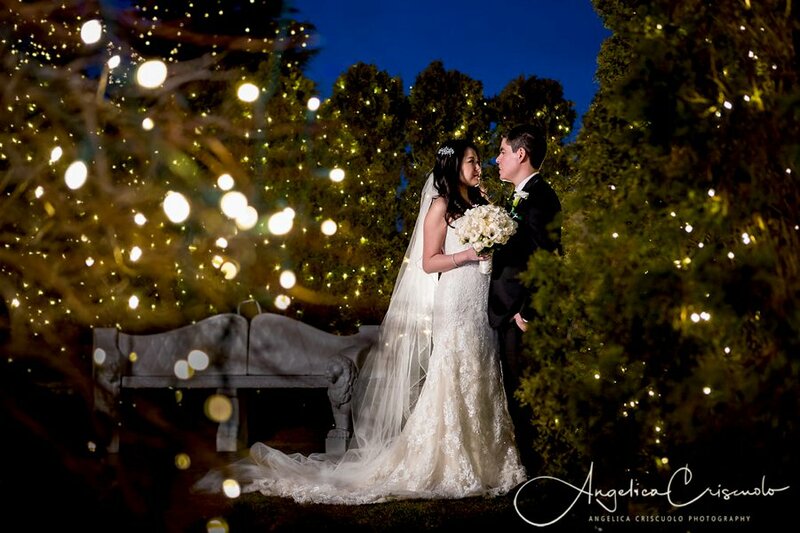 LOOOVE this Long Island New York wedding photography in Crest Hollow Country Club with the gorgeous couple, Eliza and John Paul! 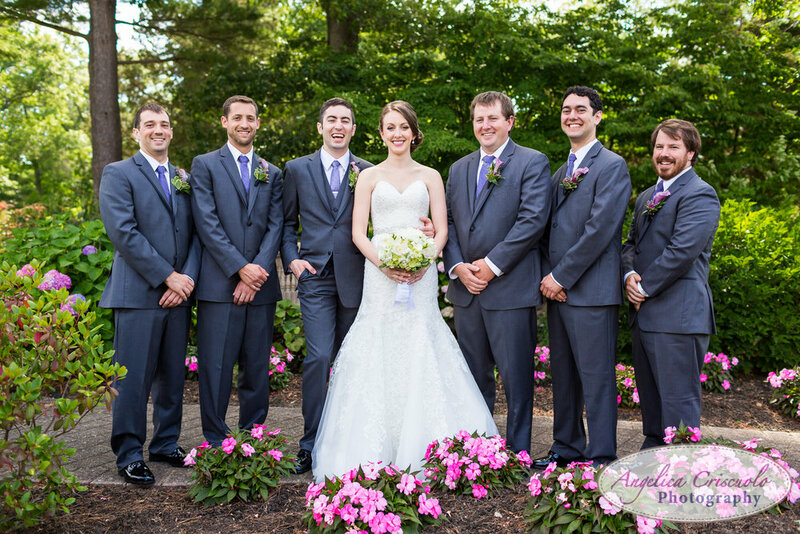 Their wedding was such a blast from the getting ready at the Hilton Huntington Hotel, to their first look taken in the hotel's garden, their fun formal portraits at the Planting Fields Arboretum, and finally their beautiful wedding at Crest Hollow Country Club. 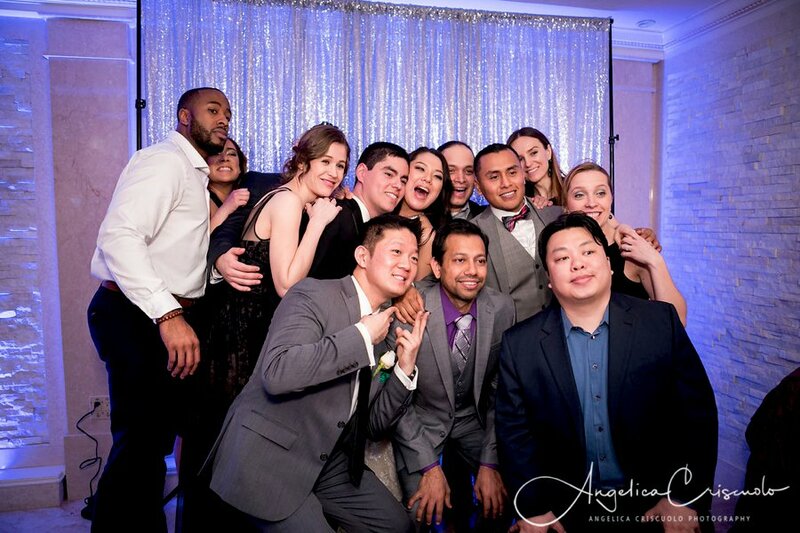 When I edited the photos, I definitely notice that EVERYONE was laughing, smiling and having such a great time. It just showed how much Eliza and John Paul are loved and how they are surrounded by loving family and friends. Everyone had such a blast, and even their very good friend, who was their minister for the ceremony, was such a good sport when he was "gifted" with a Pope outfit John Paul seriously swore he had to wear for the wedding...as you can see from the formal portraits, he was ready to wear it for his two very good friends! All in all, my team and I could not stop laughing and smiling. 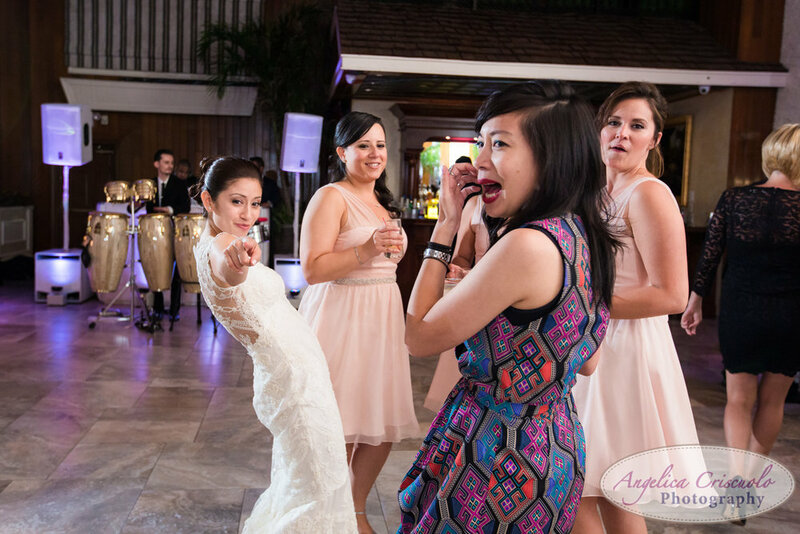 Even my assistant had a whirlwind of an experience with our InstaMemory Booth being a hit with all the guests during the reception. 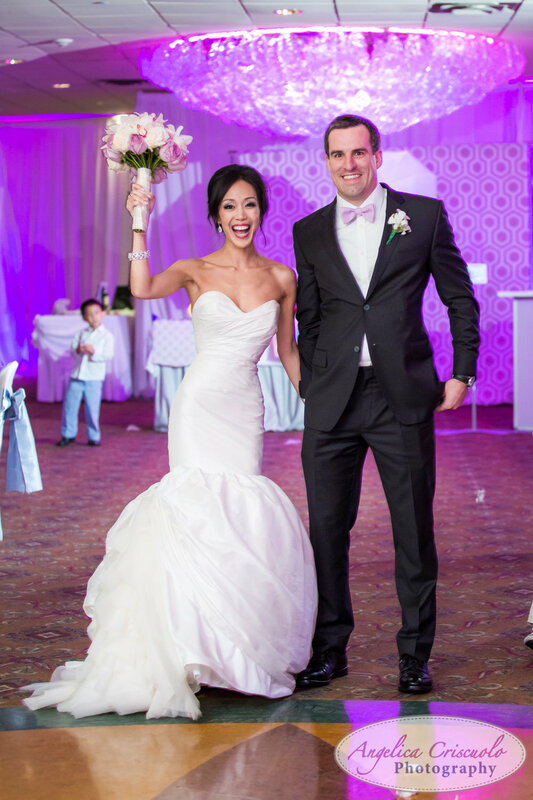 Eliza and John Paul, may you have many years of blessings, fun and laughter and we are ecstatic to have been a part of your amazing nuptials! 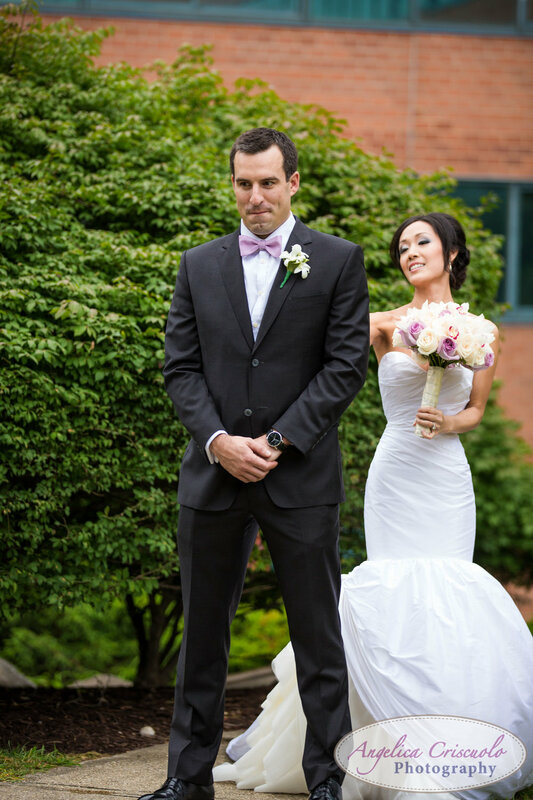 Check out teasers from their wedding below. Click here for their engagement session blog. 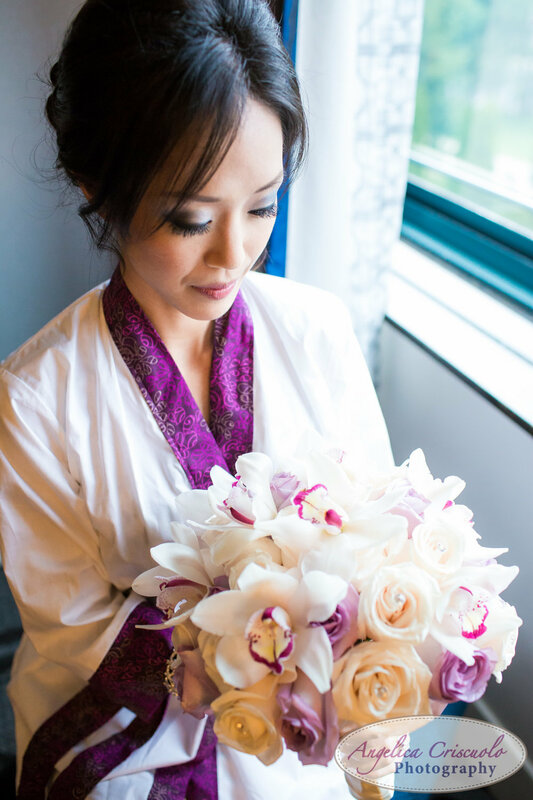 Jane Wang: Custom dress designer-dress built from scratch. Ivory, Silk Tafetta, hand sewn beading, Very fitted mermaid gown. 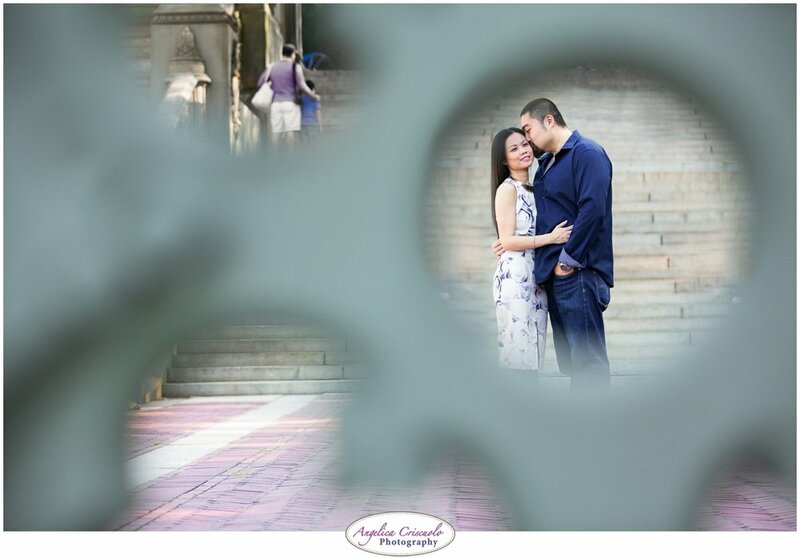 As many know I LOVE purple hughes of any kind so I just had to share this NYC wedding engagement photography of Amber and Jonathan. This was taken in Central Park New York when all the flowers were in bloom. Just beautiful! 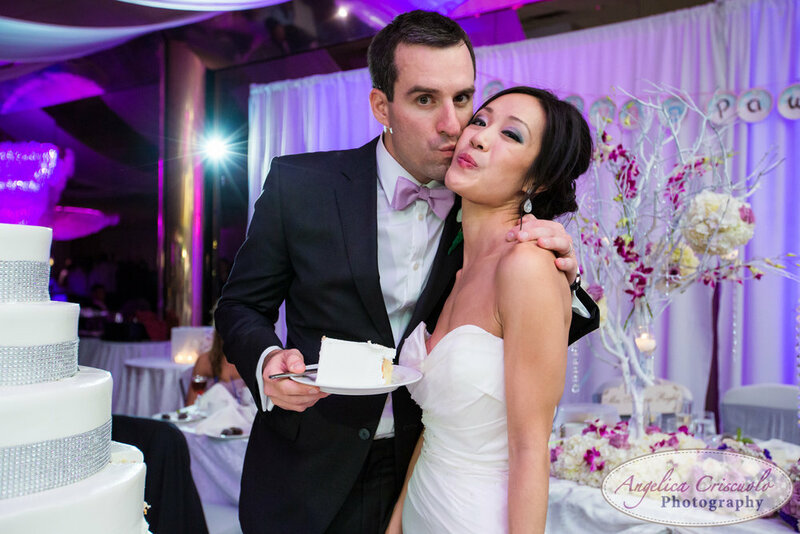 Such a gorgeous couple and this NYC Wedding photographer cannot wait to show you more! ....and no, pretty rings do not fall from trees. 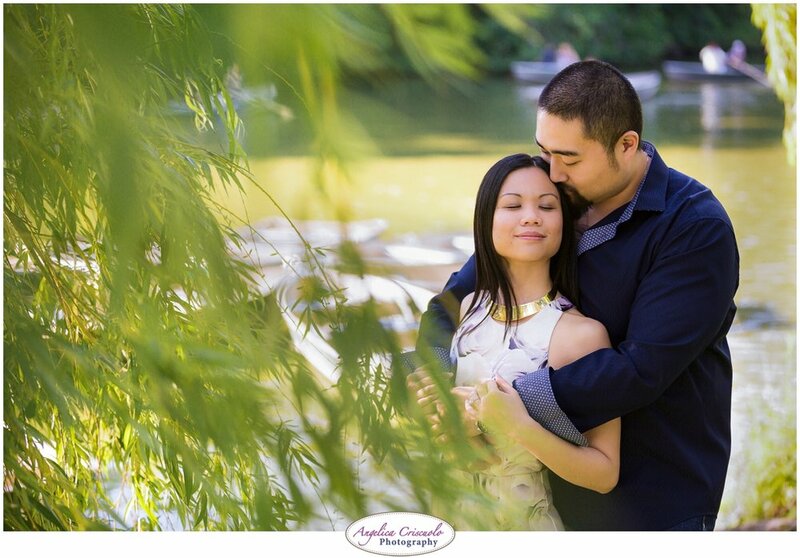 Central park in the spring is such a great backdrop for engagement photos. You can get so many ideas where to go and what to do and there’s too many inspiration at times! 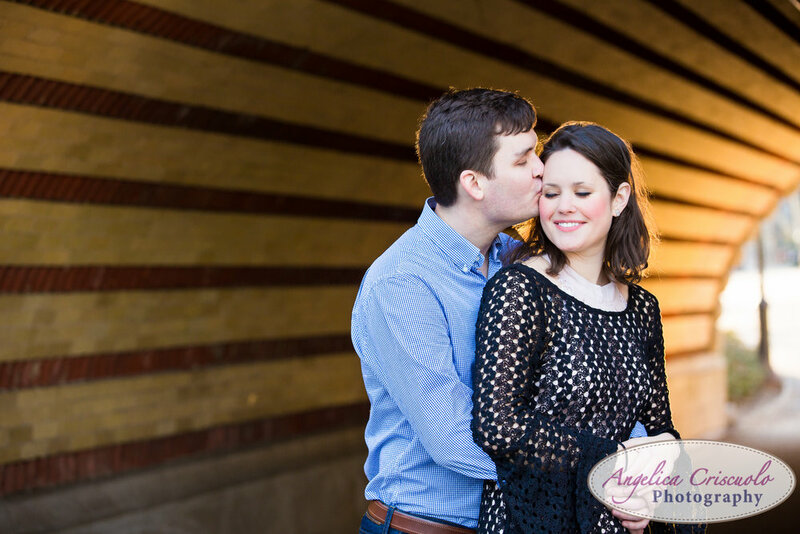 NYC Engagement Photography and Wedding preparation. Romantic unique Ring shot. 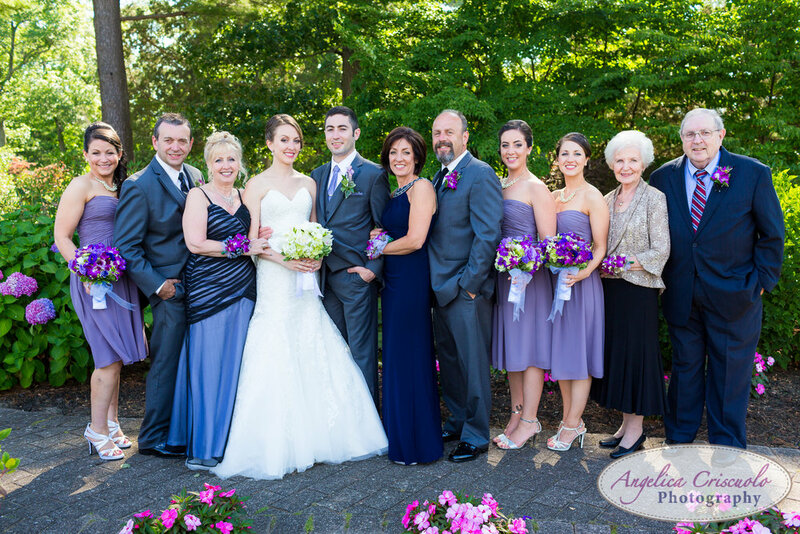 What a great Long Island New York wedding Erica and Larry had at Stonebridge Golf Links & Country Club set outdoors in the beautiful manicured gardens. 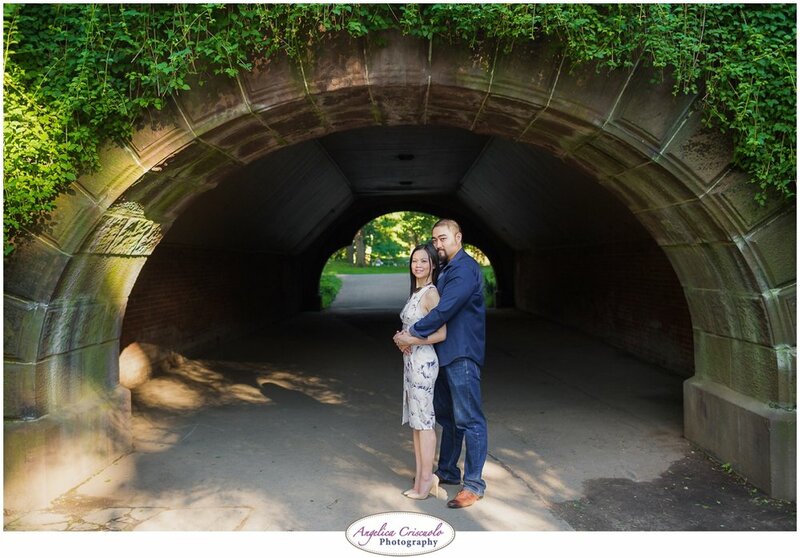 It was truly a perfect day to take some wedding photos in New York! To think that these two met through a mutual friend (shout out to Liz!) and on a fateful day when Larry was visiting DC, he just hit it off with Erica. In Larry's words, Erica simply makes him happy and she makes him a better person by supporting him with no questions asked. Erica knew Larry was the one because he learned early on that the way to her heart was through her stomach! I concur. Who doesn't love food!? 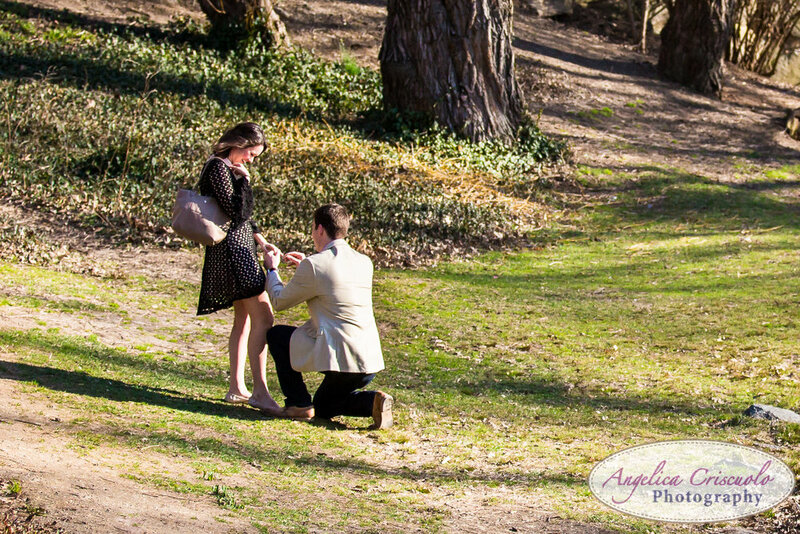 After three years of dating, Larry proposed to Erica during a trip to Chicago. 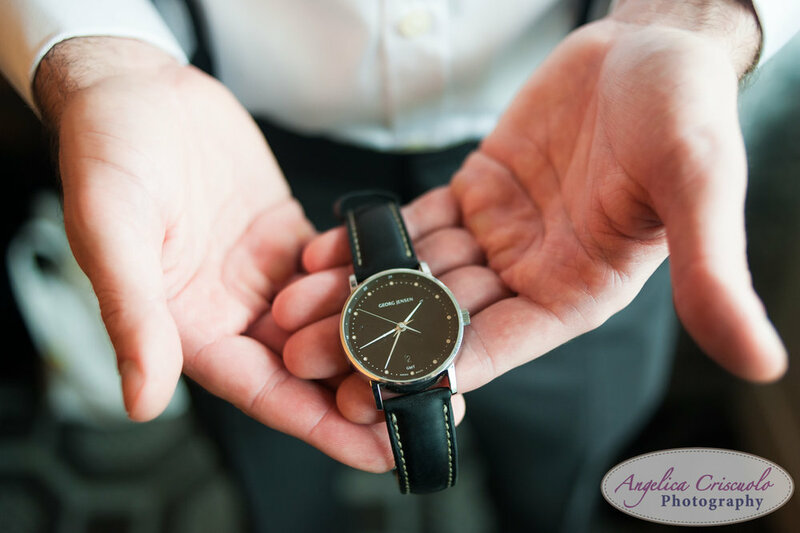 After landing and dropping off their luggage at the hotel, they headed to pick up a picnic basket, ate their lunch, and walked towards a fountain where Larry was nervously waiting to ask the big question. All the stress of hoping everything will go smoothly and the rain will hold off was well worth it. A passerby on her bike actually slowed down to make sure all was well because that's how much Larry looked nervous! 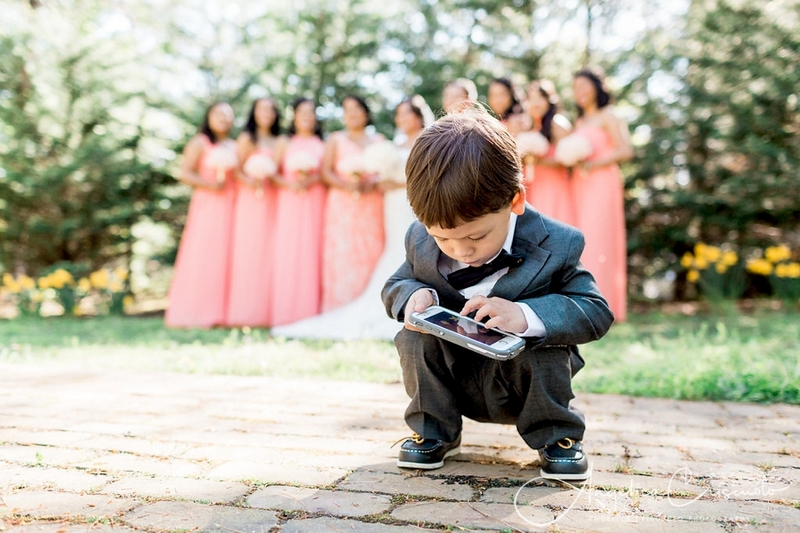 The passerby was happy that it was a good nervousness and took a photo of them, which they used in their table card at the wedding. I'm so honored to have captured their wedding. What a great bridal party and the guests were all just amazing that literally 99% of them were on the dance floor! 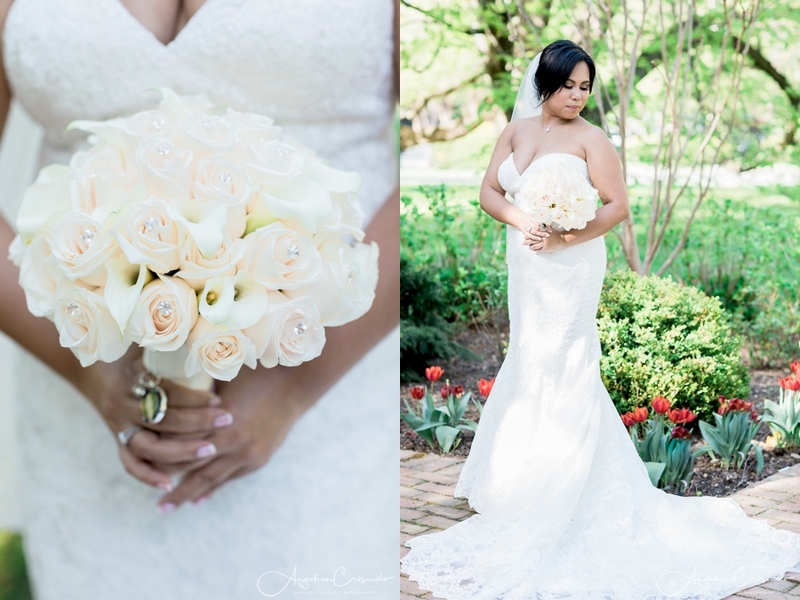 Check out these teasers from the wedding and I can't wait to share more photos! 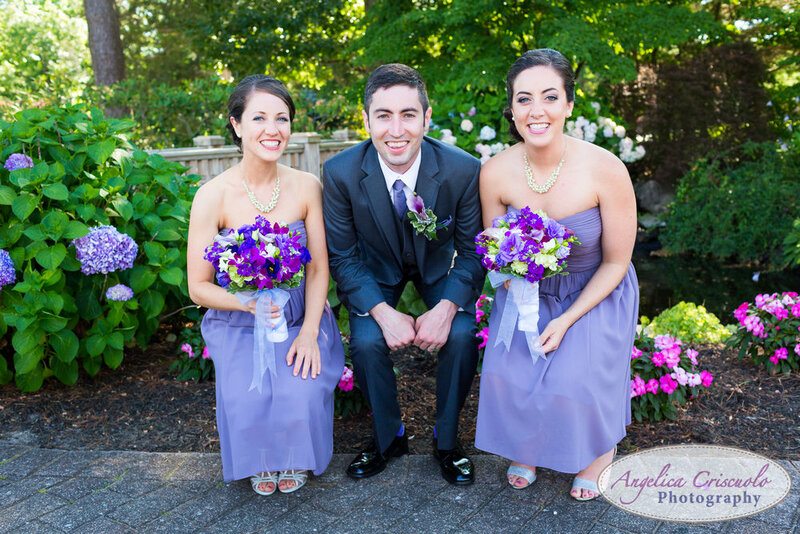 Bridesmaid Dresses: Donna Morgan "anne" Grey Ridge available in Nordstrom, Weddingtonway, etc. First Dance: Billy Joel - "Just the Way You Are"
Groomsmen photos with purple socks. So what do you do when you've been with the love of your life for 14 years? Why, you propose to her in the most unique way possible! Yichuan and Anh are such a match-made in heaven. Living about an hour drive from each other close to Sydney Australia, they have always looked forward to spending weekends with one another. When the big day arrived, and Yichuan showed up with his fellow NSW Rural Fire Brigade, dress ready for action, and the magic just happened. The day was captured on film by www.geometricfilms.com.au and I literally cried watching their proposal. 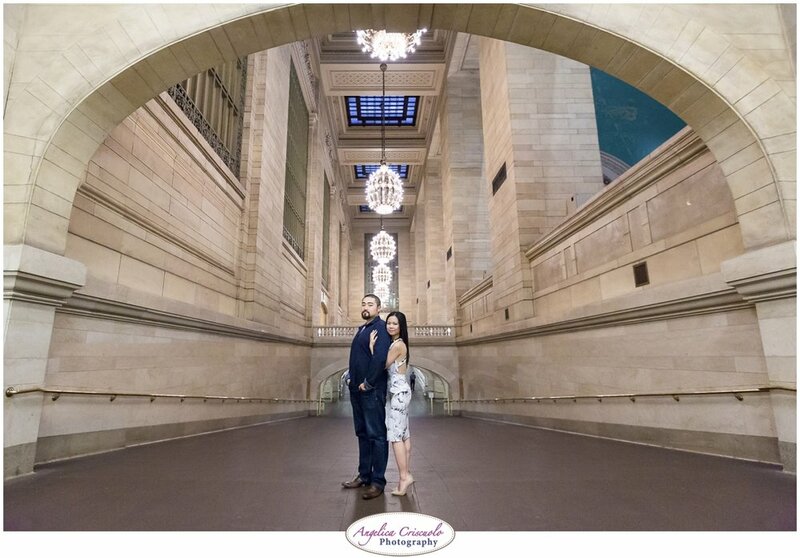 You can see by clicking on the link below after you check out their amazing engagement session held in Central Park and Grand Central Terminal Station. 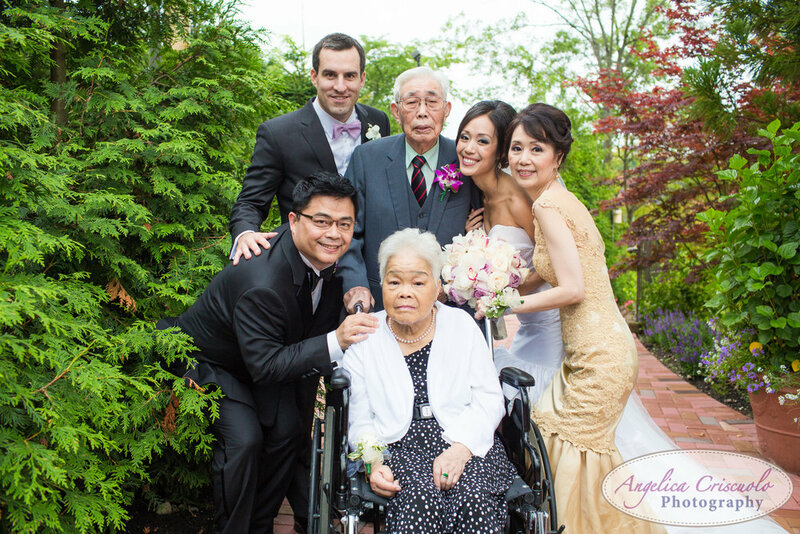 Congratulations Anh and Yichuan! 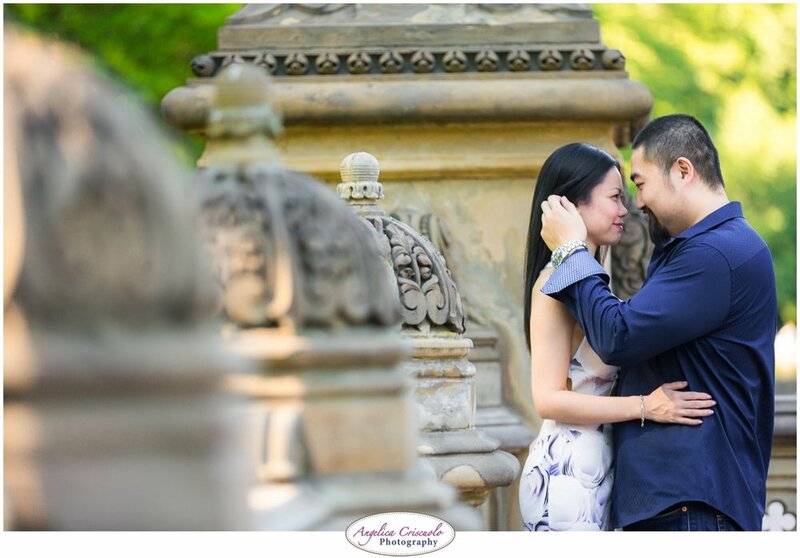 I am so ecstatic that you have chosen to have your engagement session here in New York City. 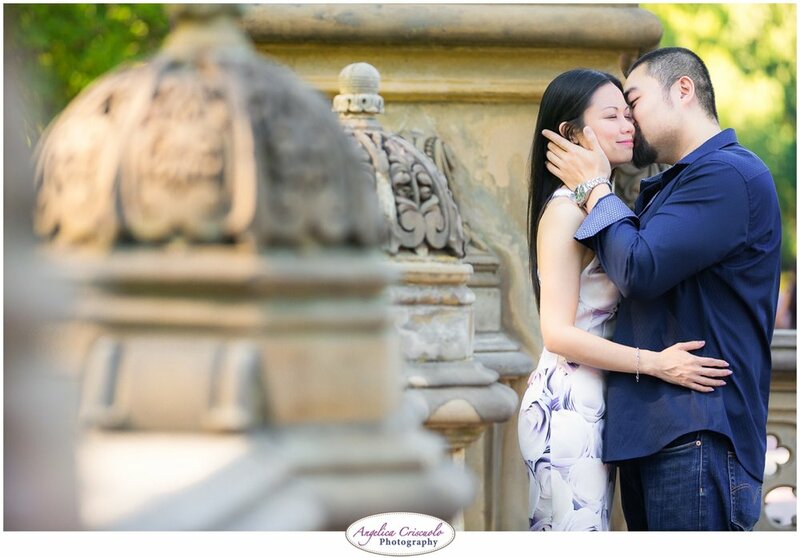 The locations you chose really complemented your chic style, fun personality, and desire to really have a full NYC engagement session experience. I truly hope you two live a happily ever after and make sure to come back to New York for a visit! 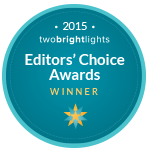 Congratulations Gina and Rob Vohden! 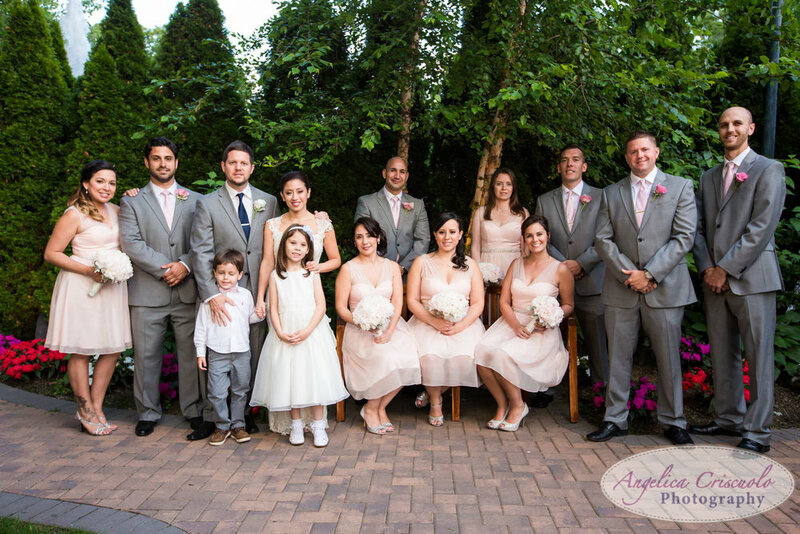 Here's a look back through memory lane and your New Jersey wedding photography at St. Teresa of Avila Catholic Church and ending at Villa Ravello where all your family and friends danced the night away to celebrate you both! From the time Gina was getting ready, puts on her dress, and her pointe shoes (!) to entering the church and seeing Rob's reaction when Gina walked down that aisle. Magic. Keep on sharing that emotion with one another and I know you two will have plenty of wonderful memories to share for many years to come. 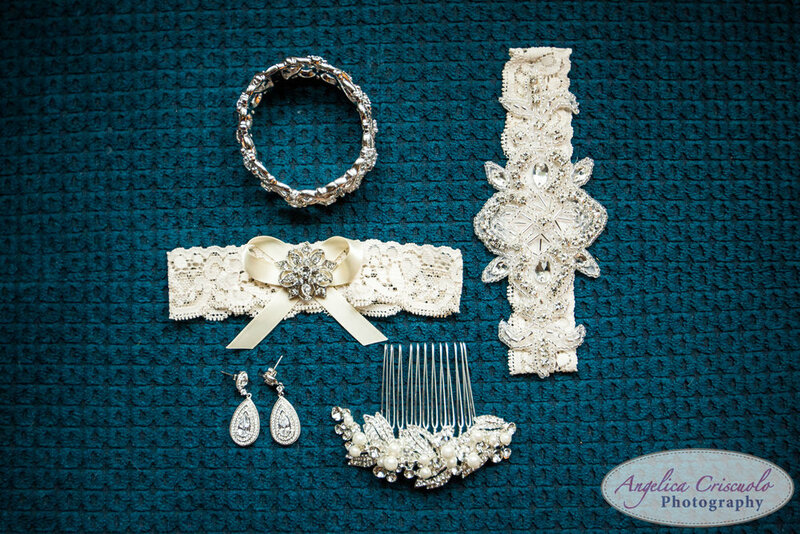 Here's a link to their blog for more photo teasers from their wedding!